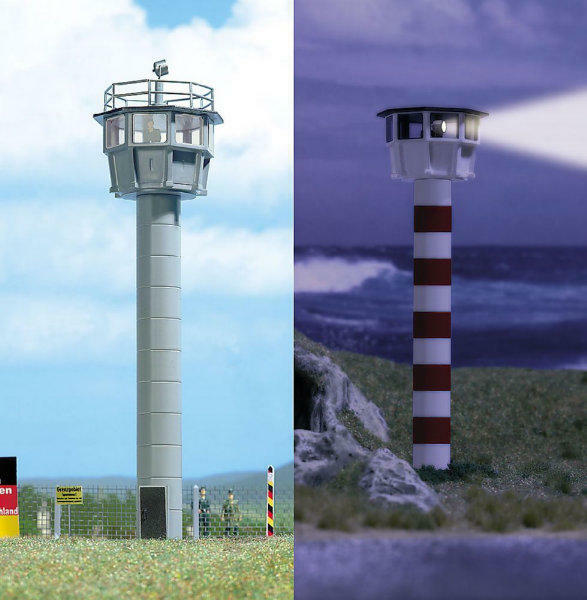 Kit for a watchtower modeled on the former GDR borders. Including border fence and cut-out sign with typical signage. The watchtower can also be used as an observation tower, lighthouse and the like. be used (the detailed instructions show the different design options). Total height max. Approx. 185 mm. The concrete mast consists of pluggable rings. 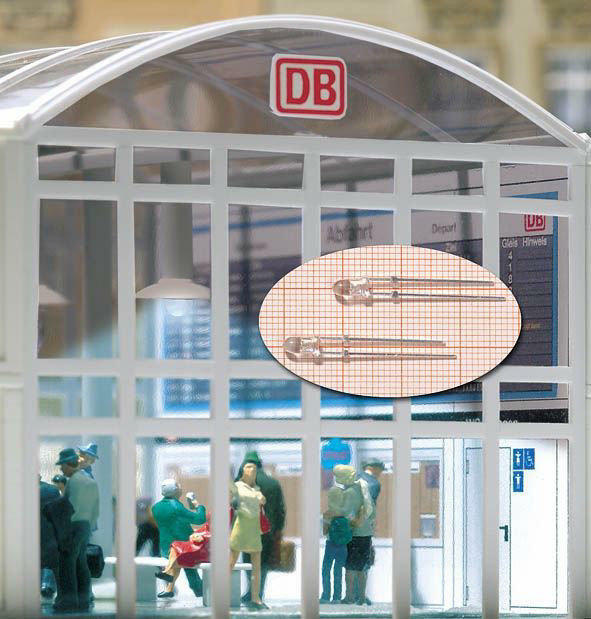 As a result, the tower is variable in height and ideal for HO and TT. For the illumination of the searchlight or beacon white LEDs (busch No. 5987) are ideally suited.